HostForLIFE.eu offers the latest European SignalR hosting installation to all our new and existing customers. You can simply deploy your SignalR website via our world-class Plesk Control Panel. 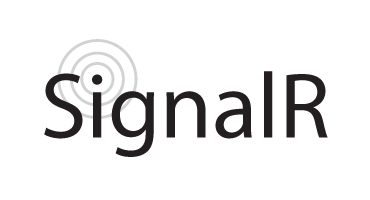 This SignalR framework is part of the service and it is provided free of charge. What is European SignalR Hosting? SignalR can be used to add any sort of "real-time" web functionality to your ASP.NET application. While chat is often used as an example, you can do a whole lot more. Any time a user refreshes a web page to see new data, or the page implements long polling to retrieve new data, it is a candidate for using SignalR. Examples include dashboards and monitoring applications, collaborative applications (such as simultaneous editing of documents), job progress updates, and real-time forms. Why Choose HostForLIFE.eu for SignalR Hosting? Try our Free SignalR Hosting today and your account will be setup soon! You can also take advantage of our Windows & ASP.NET Hosting support with Unlimited Domain, Unlimited Bandwidth, Unlimited Disk Space, etc. You will not be charged a cent for trying our service for the next 3 days. Once your trial period is complete, you decide whether you'd like to continue.